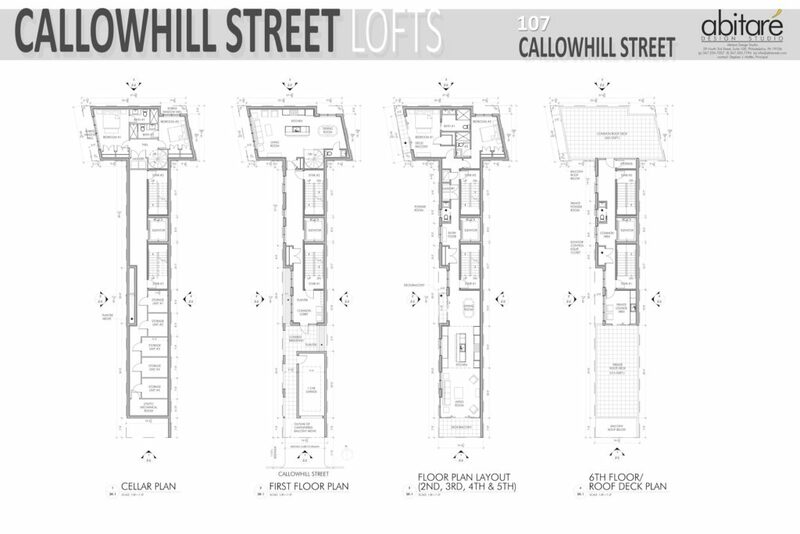 A little less than two years ago, we brought your attention to 107 Callowhill St., a t-shaped lot close to an I-95 onramp. 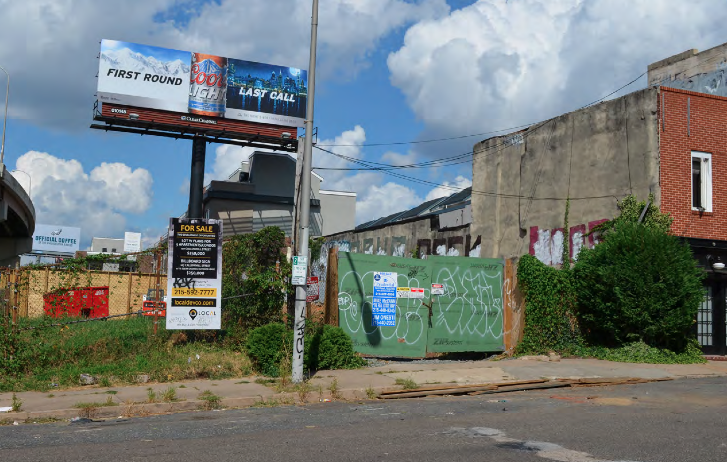 The lot was understandably neglected given its location, but the redevelopment plans made some sense when you consider the construction activity in recent years just a couple blocks away, north of Spring Garden Street. But after several fistfuls of months, the project had not moved forward. 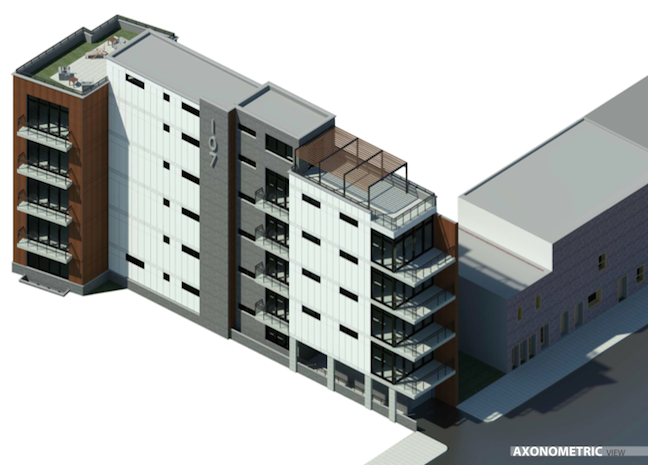 According to Stephen Maffei, the head of Abitare Studios, they had to scuttle their plans to move their offices to the new building because the firm has outgrown the new office space. They're currently in negotiations for a new space in Old City that can accommodate their swelling numbers. With that in mind, we can certainly appreciate why their plans for the property changed. 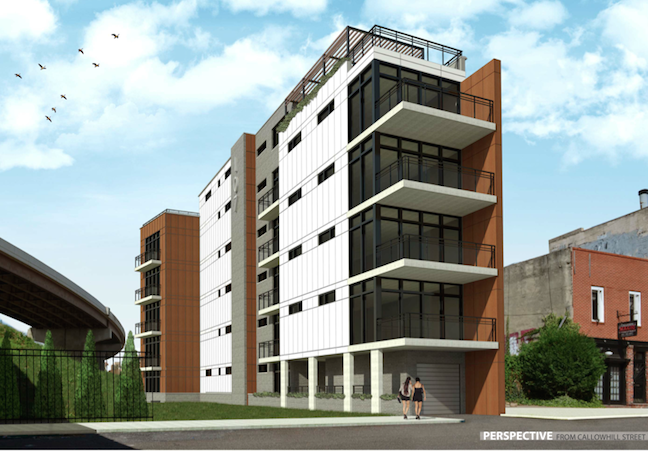 Even without the mixed-use aspect, this project will be a dynamite change for the property, and will hopefully inspire even more development on and around Front Street. And it doesn't hurt that they've designed a cool looking building.